In the current issue of the Walkley Magazine, winner of the inaugural 2018 Arts Journalism Award (funded by Copyright Agency), Gabriella Coslovich, takes stock of the opportunities and challenges for arts writing in Australia. She writes: “For those of us who care about the arts as a defining expression of society, and who believe that arts coverage and criticism is essential to a healthy democracy, the decline has been hard to watch, and perplexing too at a time when more people than ever are engaging in the arts, there are more arts institutions and festivals, and the economic benefits of culture and cultural tourism (not to mention the emotional plusses) are well recognised.” Read more. Entries are now open for the 2019 Arts Journalism Prize and the Walkley-Pascall Prize for Arts Criticism. Winners of each prize receive $5000 thanks to the Copyright Agency’s Cultural Fund. Entries close April 26. 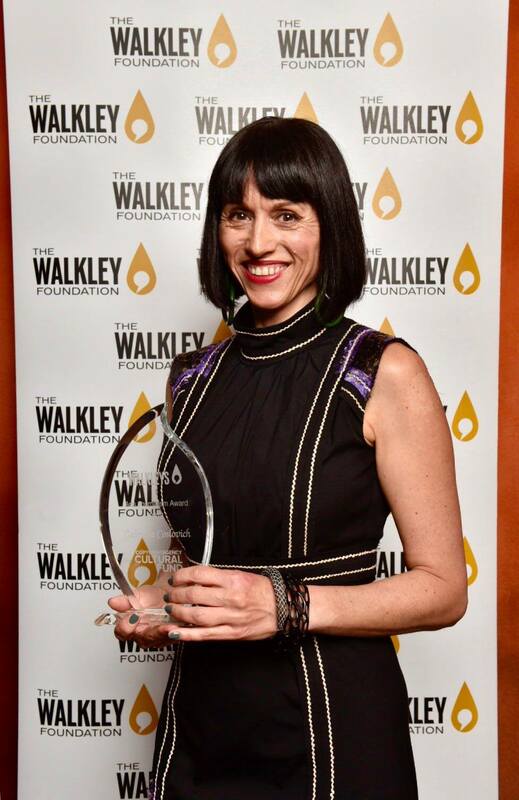 Walkley Arts Journalism 2018 Award winner Gabriella Coslovich for her book: “Whiteley on Trial”, published by Melbourne University Press. Photo: Adam Hollingsworth.